Here is the last of our license plate stash! 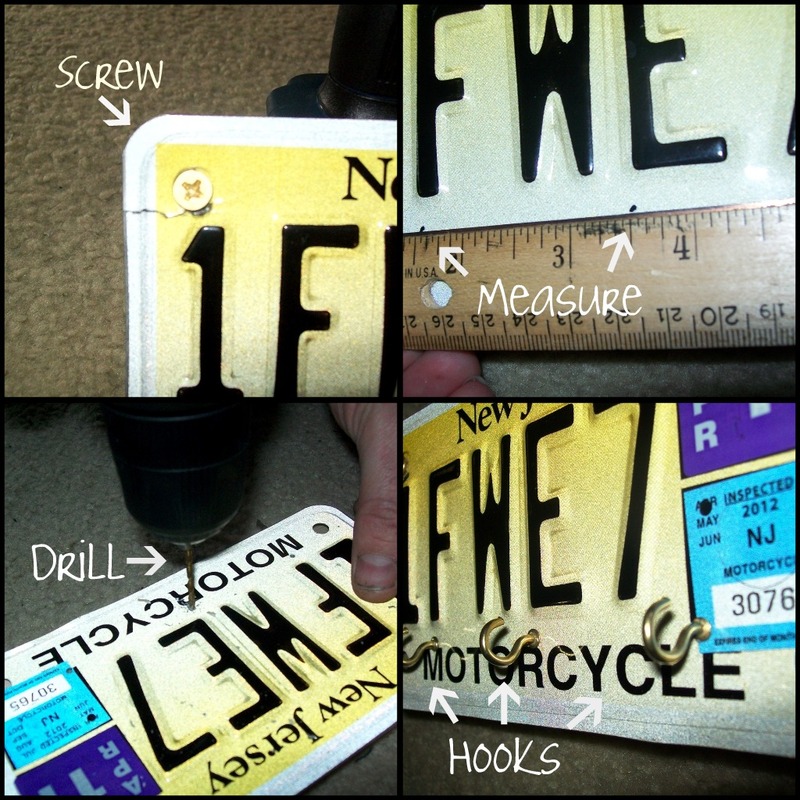 I showed you how to use license plates to create a wine rack, but a motorcycle plate is a little too small for something like that. Since moving in, we have been throwing our keys in a basket by the door. This works, but when you’re in a hurry, it is kind of a pain to have to dig through the basket to find the right keys. 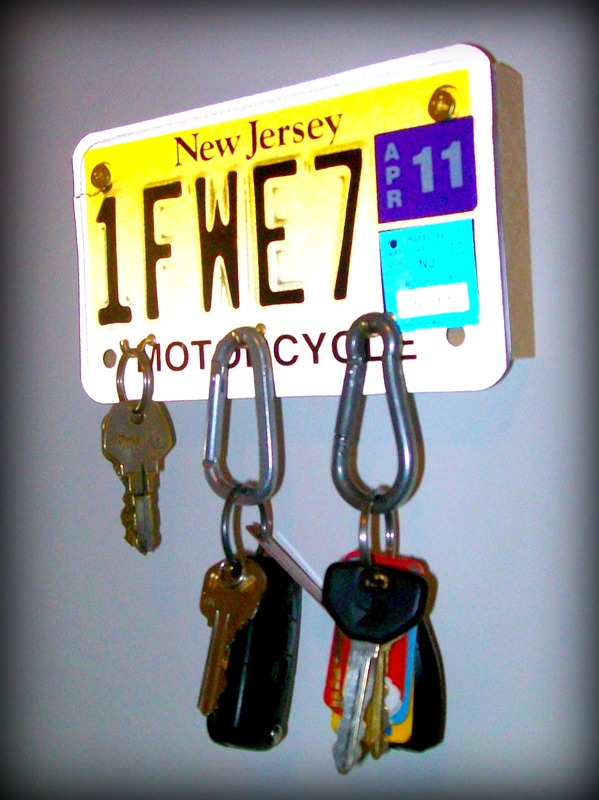 That’s how I came up with this idea for a key hanger by the door! Husband achieved a lifelong dream last spring when he purchased his first Harley, so he is thrilled to have this motorcycle plate displayed in our home. I apologize for the less-than-stellar photos of the license plate. It is hard to get a picture of something that reflective! Just like with the wine rack, you need to clean that filthy license plate! 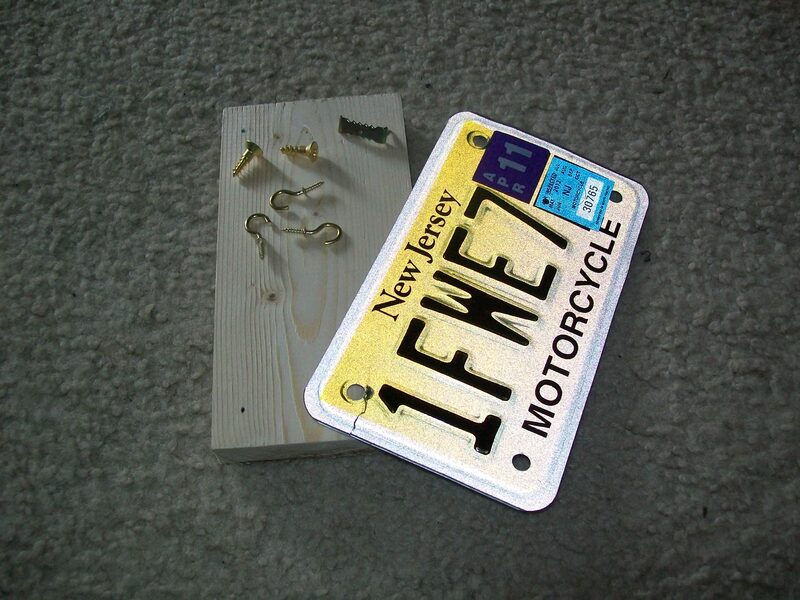 Use the screws to mount the plate to the wood using the two holes that already exist in the top of the plate. Use the ruler and marker to draw small dots along the bottom edge of the plate equal distance from each other. Drill a hole an appropriate size for your hooks through each of the dots. This is mostly just to get through the metal. Be careful not to drill too far into the wood because the thread pattern on the hooks probably doesn’t match the thread pattern of the drill and you want your hooks to get a good grip in there! Screw the hooks into the holes. We chose to clip the ends off of the hooks to fit our key rings better, but this is entirely up to you. Attach the hanging kit as per the manufacturers instructions and hang it up! 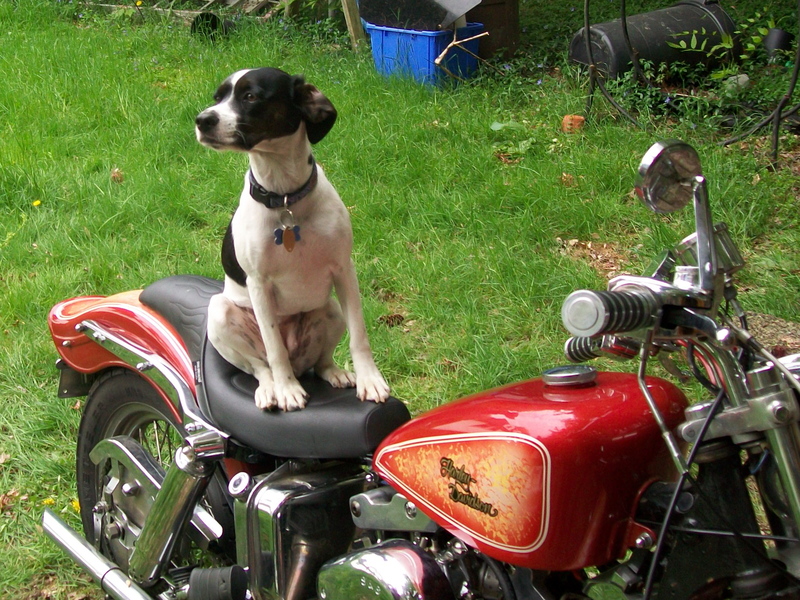 Just for fun, here is a picture of our pooch enjoying the new (1975) bike! This is fantastic! 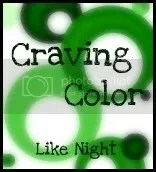 I featured it today! 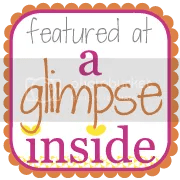 I’d love for you to come grab a featured button. Thanks for linking up last week!